Wolfe Face Art & FX AMC The Walking Dead make-up kit! 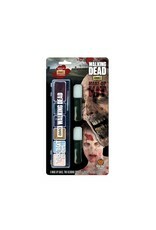 Home / AMC The Walking Dead make-up kit! Want to look like a Walker for AMC's number one hit show The Walking Dead? 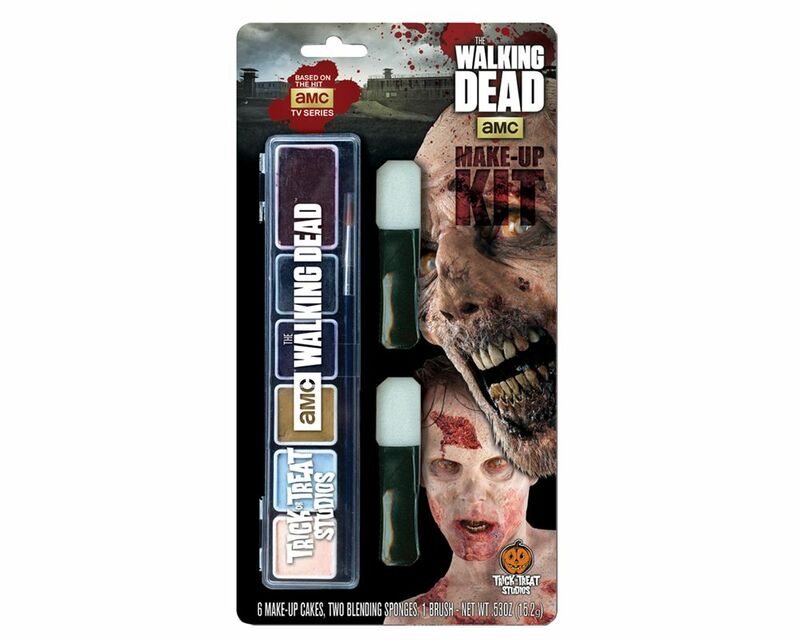 Now you can with the officially licensed AMC The Walking Dead make-up kit! Features colors meticulously picked to match the color pallet used in the The Walking Dead tv shows. Includes 6 water based makeup squares, 1 makeup brush, and 2 applicator sponges. Same high quality water based makeup in our professional Hydrocolor line. Enough makeup to do multiple zombies. Designed and licensed by Trick or Treat Studios, the makers of the best halloween masks, costumes and props from your favorite movies and TV shows.